A study conducted by CONICET researchers determined that the river stingray populations of Río Paraná have decreased due to fishing. The Paraná River has 6 of the 32 species of stingrays. Photo: courtesy gentileza Matías A. Lipsker. Raya de río (Potamotrygon amandae) en el río Corriente, afluente del Paraná medio. Foto: gentileza Matías A. Lipsker. 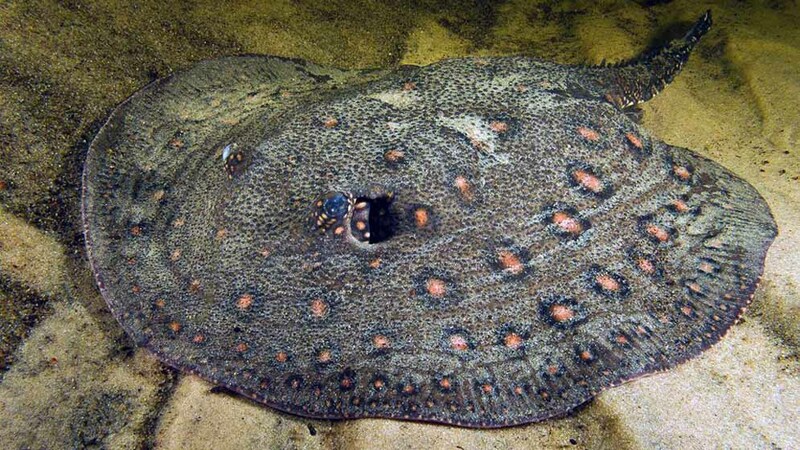 In the mightiest rivers of South America there are fish little known for science: river stingrays. They are related to sharks and other marine ancestors. Their size can be up to one and a half meters and they can weigh more than 200 kilos. 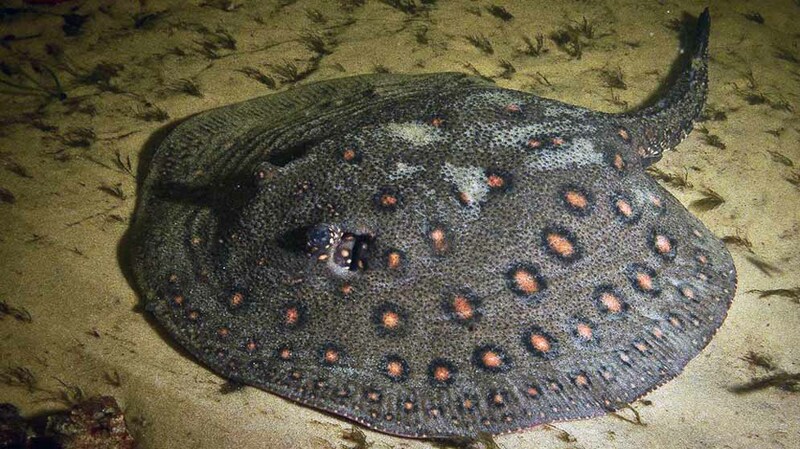 One study conducted by researchers at the Instituto de Biología Subtropical (IBS, CONICET – UNaM) of the province of Misiones published today in Biological Conservation indicates that the stingrays populations of Paraná river have declined in the last 11 years. The study, based on surveys carried out by institutions that belong to the Ministerio de Agroindustrias de la Nación, proves that the decrease in the number of specimens is related to fishing. The research covered the area from the cities of Resistencia and Corrientes up to the Paraná river delta –from the mouth to the Río de la Plata–, where six from the 32 fresh water species in the world. “Our work managed to test the stingray’s abundance trend and develop proposals to implement the measures to preserve it, considering that we are in a great diversity area”, Luis Lucifora, CONICET independent researcher at the IBS Puerto Iguazú node and first author of the publication. The experts explain that the type of fishing that affect stingrays are various. From the city of Resistencia, in Chaco, up to Reconquista, in Santa Fe, sport fishing is the main practice. There are also fishermen that look for Pseudoplatystoma corruscans “surubí”, which is captured with a mesh, a large opening net, in the main bed of the river. Despite the fact that stingrays are caught with this method, the amount is not as important as in the area that covers the center of Santa Fe until the Paraná delta, where the commercial fishing of Prochilodus lineatus “sábalo” takes place. Fishermen do it with smaller nets in a place known as floodplain, which are small lakes and rivers that appear when the river lowers and disappears or rises. “This is the most common habitat for the stingrays, so this the place where most specimens are obtained and where the decrease is most visible”, Lucifora describes. Although in these cases the stingrays are not the last objective of fishing, the specimens are captured and many times mutilated. “When the fishermen find a stingray, the first thing they do it is to cut its tail because it has one sting to defend itself. As it is not what they were looking for, they give them back to the river to let them survive. In the surveys, we noticed that a great number of these species are in those conditions. This helped us to relate the abundance in different parts of the Paraná with the fishing pressure. The result was very clear: the areas that have a larger number of mutilated stingrays have a smaller amount of these fish”, the author of the study. At the Iguazú IBS, Lucifora leads a group of researchers that took the studies on these animals to know their biology and provide more information for their conservation. “The last research on river stingrays conducted in Argentina was from the 70s. The project we are carrying out, in which different groups of scientists make contributions, aims at retaking the line of research that was abandoned 40 years ago”, the scientist describes. “If nobody takes measures, the abundance of stingrays in Paraná –which is one of the rivers with the greatest diversity in the country–, is going to decrease. Firstly, it is very important to have all the middle part segment free from dams because one of the most sensitive species, the giant stingray (Potamotrygon Brachyura), is closely linked to running waters”, Lucifora concludes. Moreover, this shows the need to continue the advances on researches so as to know the reproductive biology of the stingrays to know how much can be exploited as their consumption has risen. Facundo Vargas. Departamento Fauna y Pesca, Dirección de Fauna y Áreas Naturales Protegidas de la Provincia del Chaco.